Now with the Mystro Bar, you don't have to toggle between apps to access trip information. The Mystro Bar will display this information for you when you are on a trip. 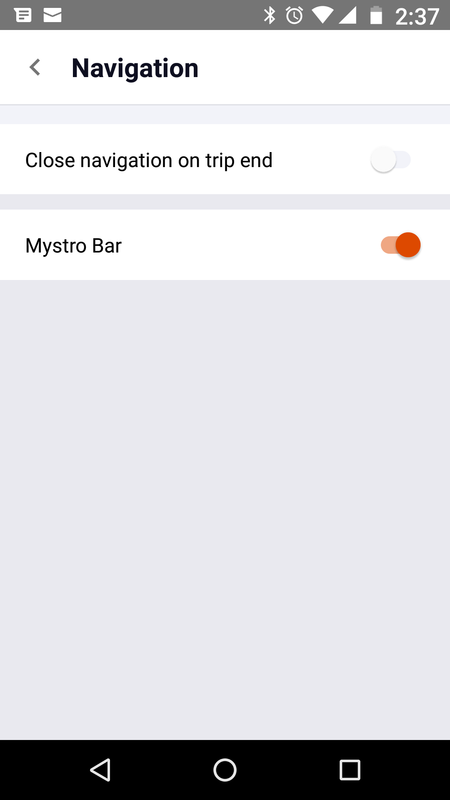 Note that Lyft doesn't show you the passenger rating or the surge while you are on a trip but with Mystro bar you can now see this information at any time while on a trip. Also, note that the Mystro Bar does not work fully with Postmates -- we expect to have full Postmates support very soon, but in the meantime, note that information shown will be limited. 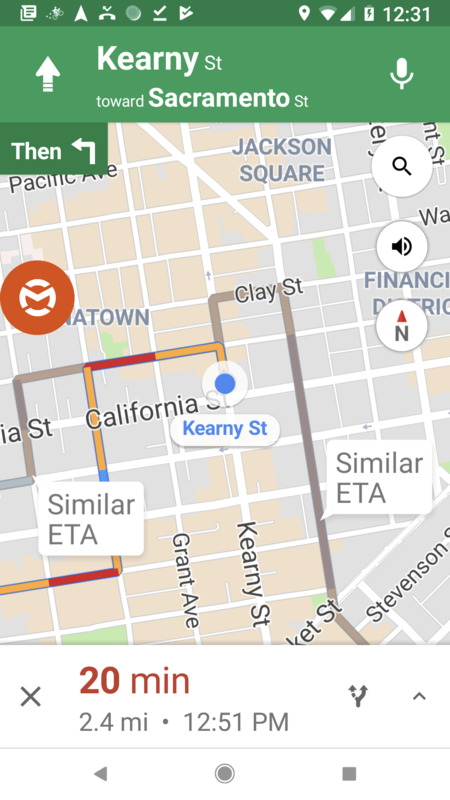 The Mystro Bar will only surface when using Google Maps or Waze. 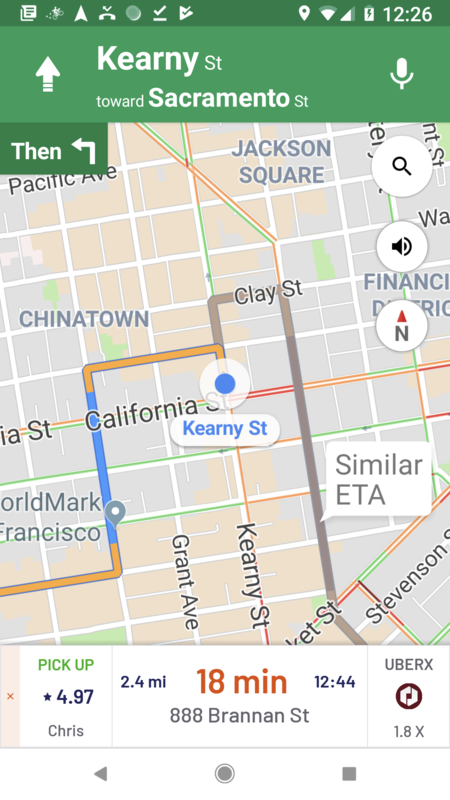 If you are using Uber or Lyft navigation the Mystro Bar does not appear. If you tap on the Mystro Bar while on a trip, the bar closes and brings up the Mystro bubble icon. If you tap on the Mystro bubble icon, the Mystro Bar reappears at the bottom of your navigation screen. Note that you can reposition the Mystro bubble icon if needed by holding down and dragging.